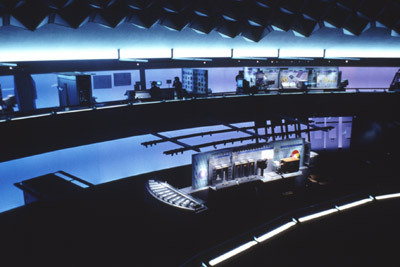 Lighting technology area. All graphics were silk-screened on metal and glass. 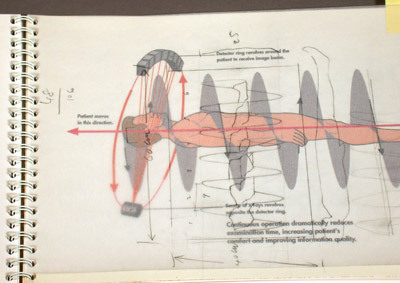 Preliminary drawings for the medical devices area. Exhibit graphics for Evoluon, Philips Electronics competence center in Eindhoven, the Netherlands. 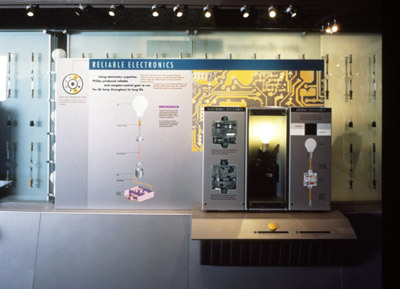 As part of the design team at The Burdick Group, I managed the graphic production for various areas of the exhibit, including the production of diagrams, timelines and technical illustrations. Photo courtesy of The Burdick Group.